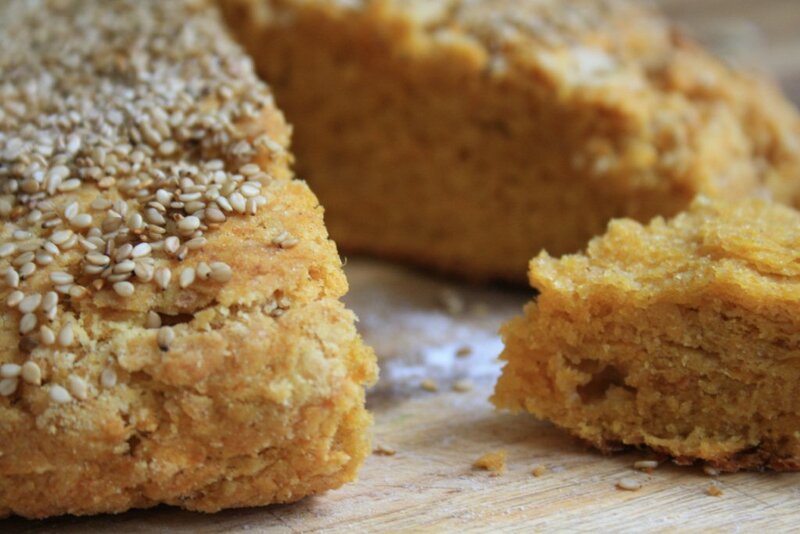 The eye can trick the taste buds - sometimes people think these are cheddar scones. 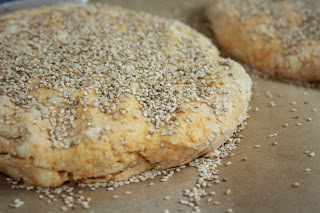 For years this was my signature scone. I’d go for months making a batch every weekend and I'd even get up early on work days to make them for breakfast (before I had children that is). I made them the morning of my wedding for guests who were staying with us and I have given them as hostess gifts, wrapped in brown paper, still warm from the oven. They’re that kind of scone…addictive and meant to be shared. The trick to making them often is to bake several sweet potatoes at once, peel off the puffed out skin while they’re still warm and freeze the flesh it in ¾ cup portions. Another trick is to make two batches at once. But I use two separate bowls for this otherwise you overwork the dough and they’ll be a little tough. Combine dry ingredients and cut in butter. 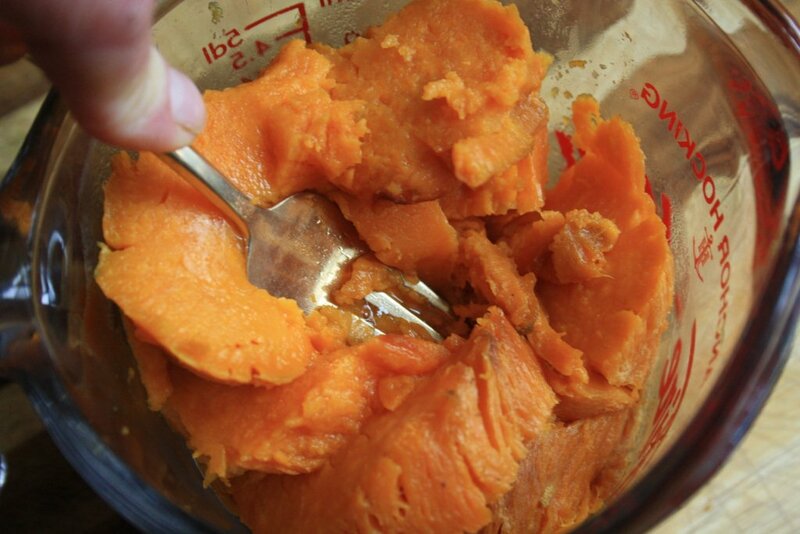 Add milk to sweet potato then add this mixture to the dry and mix very gently. When it has almost all come together, turn the dough out onto a lightly floured surface. Knead it gently a few times to incorporate the last of the flour-butter mixture. Pat it into a circle that’s about 1 to 1 ½ inches thick. Gently pat sesame seeds into the top. Mash the baked sweet potato in a measuring cup so you know how much you have. (Amazingly it usually works out to about 3/4 of a cup). Came across thid recipe when a friend pinned it (we are both in Quispamsis, and I read your KVStyle column). This recipe is right up my alley, and I'm going to add it to my stash! Have you ever tried the recipe with part or whole wheat flour? Thanks for your message. I always use Speerville whole white flour but I have mixed in some whole wheat with good results. The key is always to work the dough as little as possible. Good luck! I just made these Bridget. Thank you for sharing - they are INCREDIBLE!!!! I did 1 cup white flour and 2/3 cup whole wheat. It was a little difficult to get the dough to gather (don't know if it was because of the whole wheat flour), but they turned out PERFECT!